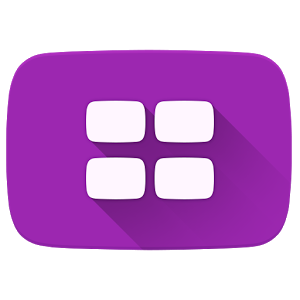 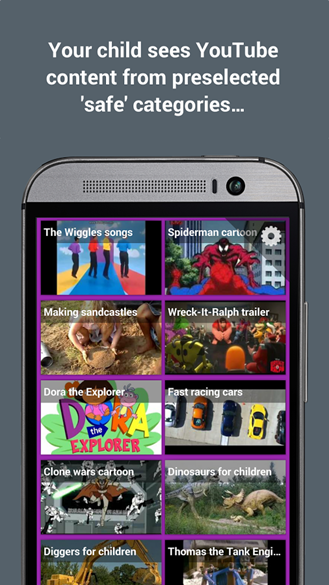 The app searches YouTube based on the settings you choose and displays matching videos in a grid layout. 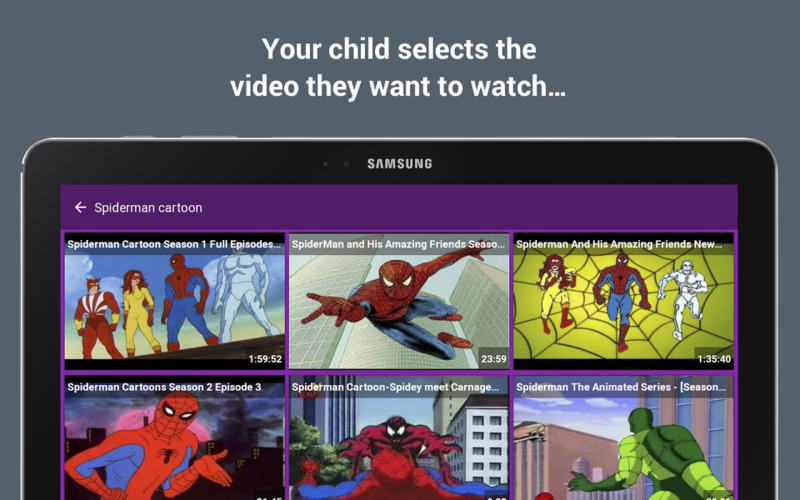 Kids can tap on a video to watch it, then quickly move to another without any intervention from you. 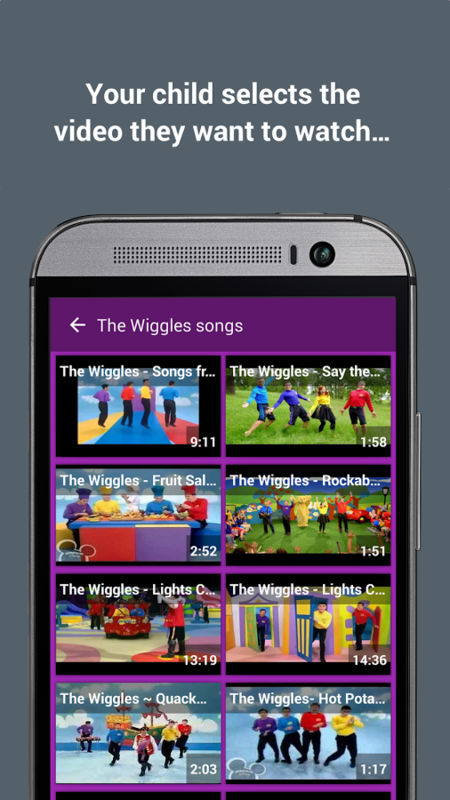 HomeTube takes over your device when it is set as the home screen so your little one can't jump into another app. 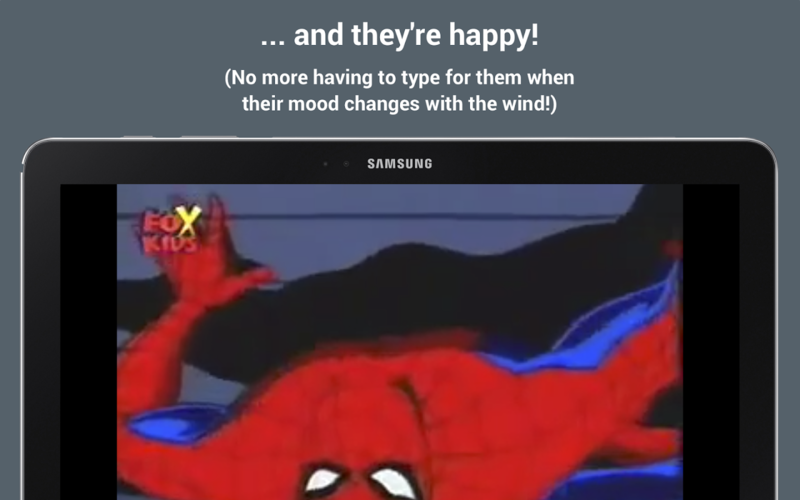 Of course, there are ways that you as a grownup could get around that, but less savvy kids won't be able to figure it out. To be clear, you can run it as an app or a launcher. 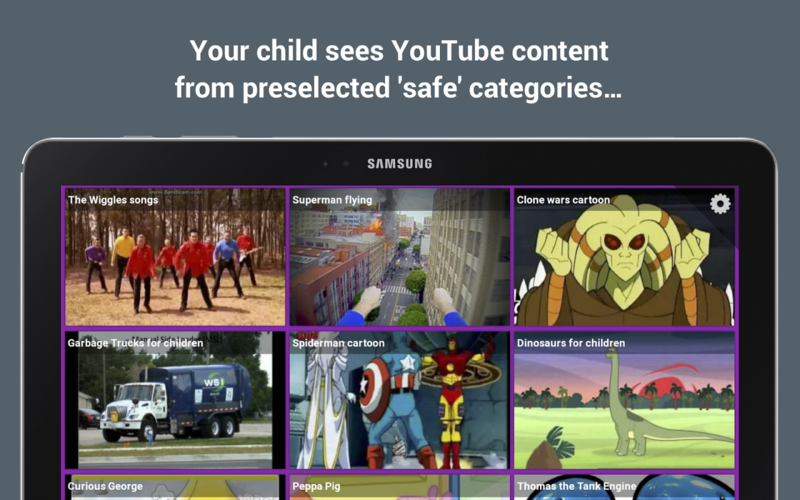 HomeTube is aggregating content from YouTube based on the criteria you input, but it won't be able to filter out something that has been miscategorized—fair warning. 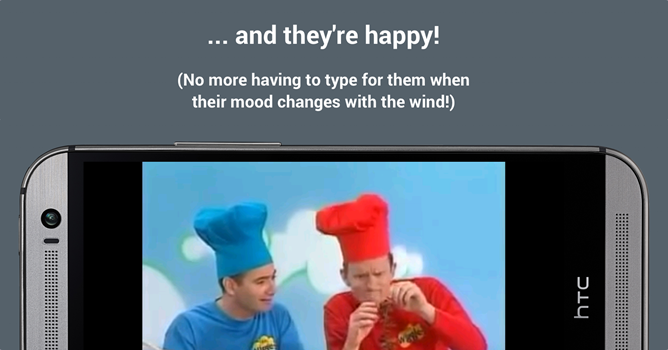 The default settings are available in the app for free, but a one-time $0.99 in-app purchase is required to unlock them.